They call it “the road less traveled,” a classic Vermont mountain situated about half way between Stratton and Okemo. Now in its second year of new ownership, Magic Mountain has carved a successful niche offering top quality, affordable skiing despite a competitive landscape. Ski Magic LLC added a new carpet lift and restarted work on a new double chair to service intermediate terrain soon after taking over operations in late 2016. Fresh off a successful 2017-18 season with increased skier visits, investors plan to spend an impressive $1.6 million on key infrastructure this summer including two important new chairlifts. In addition to completing the Green Chair project by early summer, Magic announced today that a Poma quad chair will replace the Black lift, which dates back to the middle of last century. The 1962 Pohlig double was once converted to a triple with Yan chairs before being turned back into a double in recent years. Today it sports towers from Pohlig, Hall and possibly Poma and the time has finally come to retire it. The new Black Line quad is a 1986 Poma Alpha model which is being removed from Stratton this month to make way for the Snow Bowl Express. The predecessor will find a new home less than 15 miles away, becoming the workhorse base-to-summit machine at Magic. The incoming Green Chair is also from Stratton, a Borvig removed in 1995 called Betwixed. “When we heard Stratton was replacing their Snow Bowl lift with a new high-speed detachable, four-passenger lift, our investor group jumped on the opportunity to try and purchase their Poma fixed-grip quad”, said Geoff Hatheway, President of Ski Magic. “For our ski community, this lift is a huge upgrade that meets and manages our current and future growth expectations, better fulfills customer desires for quality, reliable lift service at Magic, and sustains our reputation as an area with both minimal lift lines and low on-slope skier density.” He went on to thank Stratton President and COO Bill Nupp for his help securing the lift’s future in Southern Vermont. Black Line capacity will more than triple from 620 skiers per hour to 2,000 with the new lift unloading slightly higher to service all of Magic’s trails. 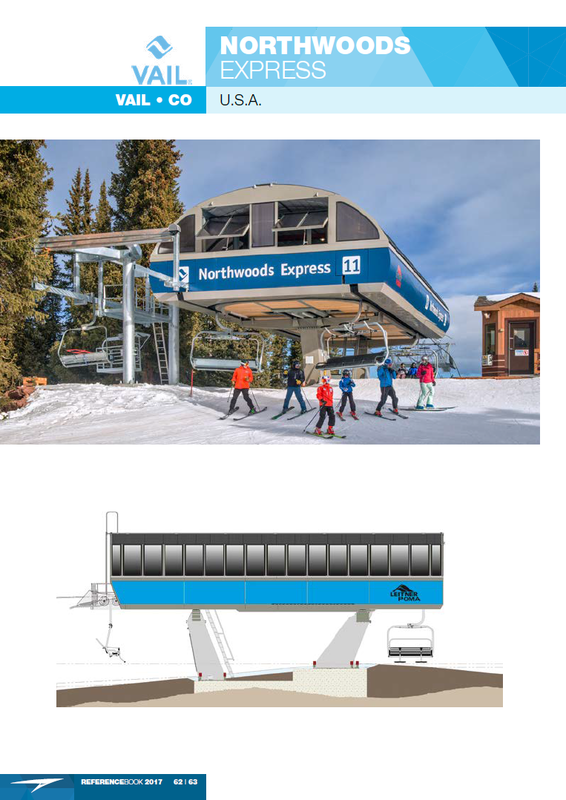 The 148 chair lift will be over 5,000 feet long with approximately 1,500 feet of vertical rise. Magic’s 1971 Heron-Poma double will stay in the rotation and operate at peak times, meaning the Black quad, Red double, and Green double are all slated for service in the 2018/19 season. With Magic’s plans, at least seven new lifts will debut in Vermont next season, the most since 1995. The Olympics have become a boon for ski lift companies, which often supply tens or even hundreds of millions of dollars in new lifts in the run up to each Games. 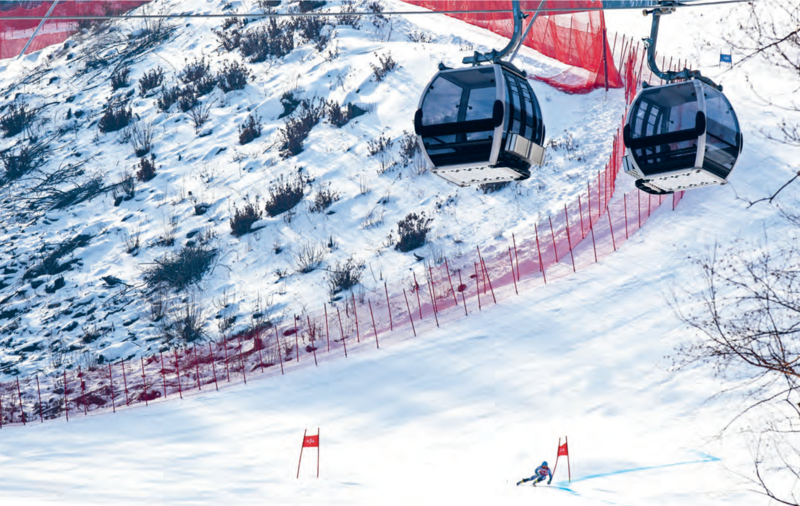 Most recently for Sochi’s 2014 venues, Doppelmayr built a staggering 40 ropeways including multiple tricable gondolas that could even carry cars in the event of road closures. 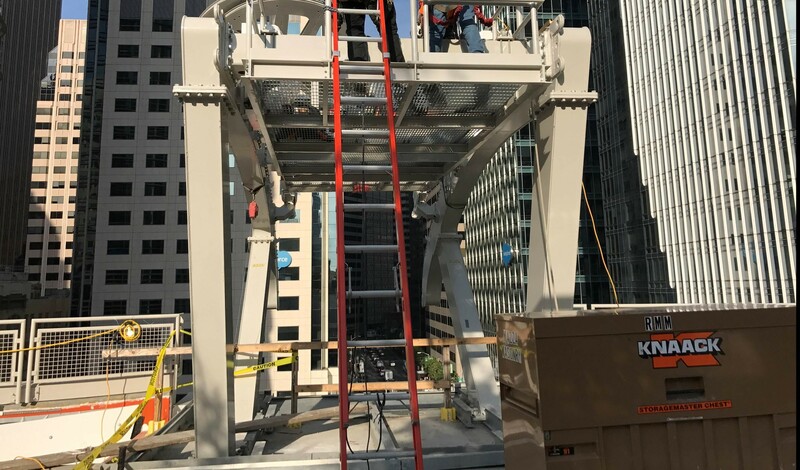 Poma built another $137 million worth – 16 lifts – the most concurrently at a single area in company history. Even summer host cities often feature ropeways that I’d like to think contributed to them being chosen as hosts in the first place. Transport for London and Doppelmayr launched the Emirates Air Line just in time for the 2012 games and Rio de Janeiro debuted multiple urban gondolas in the run up to 2016. 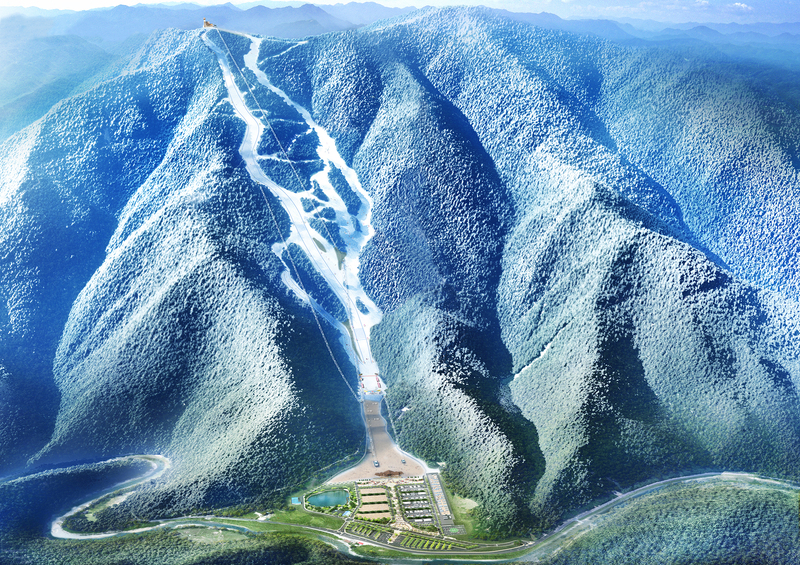 Jeongseon Alpine Centre is a purpose-built Olympic downhill facility with 100 percent automated snowmaking coverage. The 2018 games kick off February 9th in and around PyeongChang, South Korea. Three ski resorts will host alpine events just 125 miles from where North Korean dictator Kim Jong-Un opened his own new ski resort with a gondola and four chairlifts in 2013. The South’s democratic government has constructed a similar facility from scratch to host the downhill and super-G events, called Jeongseon Alpine Centre. Doppelmayr supplied a unique two-section gondola in 2015 and added additional two high-speed quad lifts in 2016. This is notable because there are really only two runs! One of the chairlifts is very similar to the temporary Timing Flats high-speed quad at Whistler, which simply ferried foot passengers from the base area to finish plaza during the 2010 Games and was moved to Sunshine Village after just two weeks of public use. 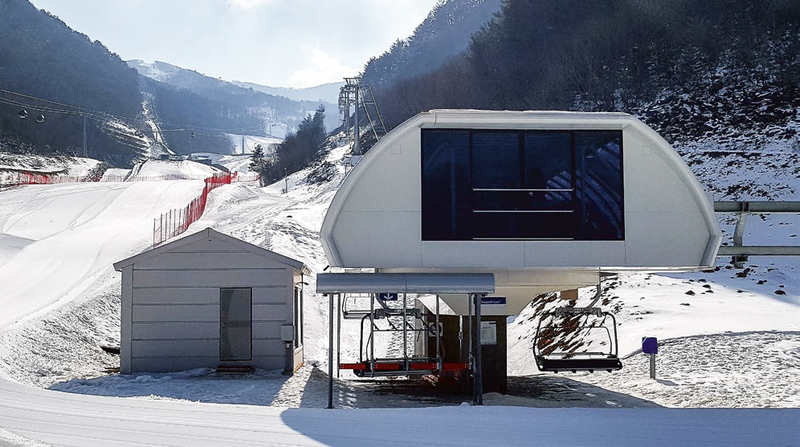 The two-section Jeongseon Downhill Gondola is powered by a single 857 horsepower motor and services the entire 2,707 vertical-foot men’s downhill course. A stacked bullwheel at the lift’s angle station has two grooves for the two different haul ropes. 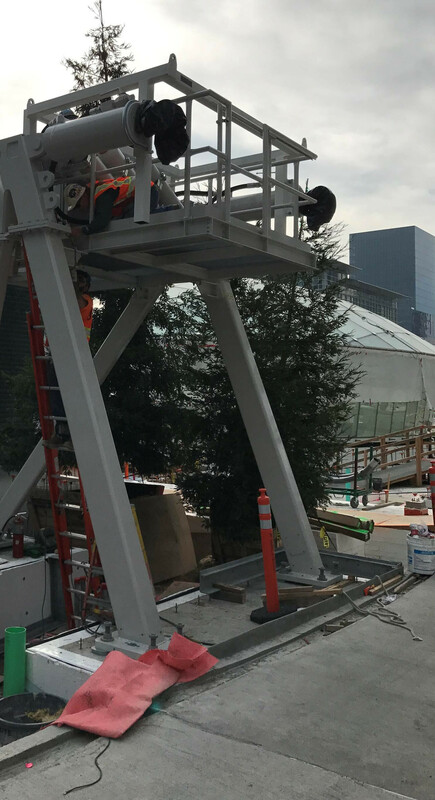 After some delays with site prep, the gondola was built by multiple crews in just three months from November 2015 to February 2016, just before an IOC deadline. The finish line at Jeongseon sits at only 1,788 feet above sea level and a 4,500 gallon-per-minute snowmaking system was also built here. The venue receives little natural snowfall and has been criticized for its ecological impact and questionable future as a public facility. 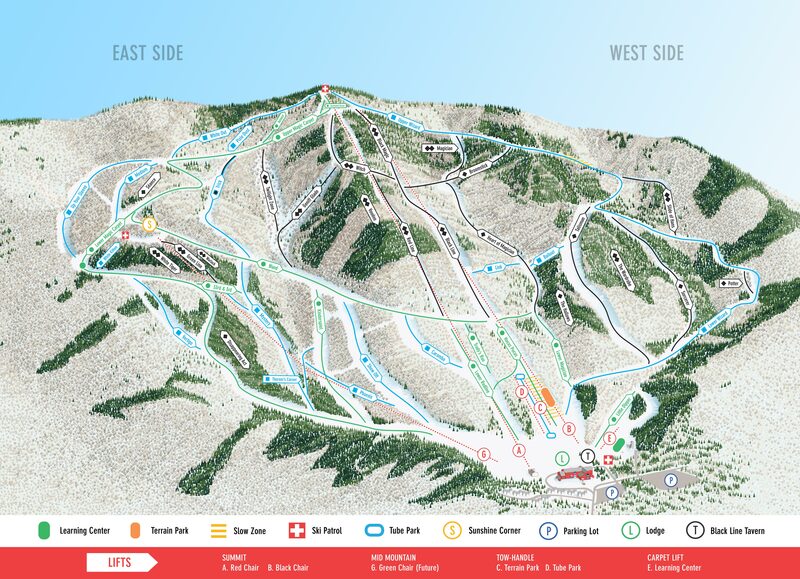 Squaw seeks extension for permit to replace Red Dog lift. Doppelmayr will begin building its next tri-cable gondola in December. Who would have guessed Kenya would get a 3S before the United States! Forest Service gives final green light for Breckenridge and Keystone six-place upgrades. A slow landslide continues to move tower 6 of the Barrows lift at Howelsen Hill. SE Group will study placement of Aspen Mountain’s future Lift 1A. Denver Post publishes two part interview with Larry Smith of the CPTSB re: Granby Ranch. The LiftDigital safety bar display system with integrated Wi-Fi will launch in Colorado for 2017-18. 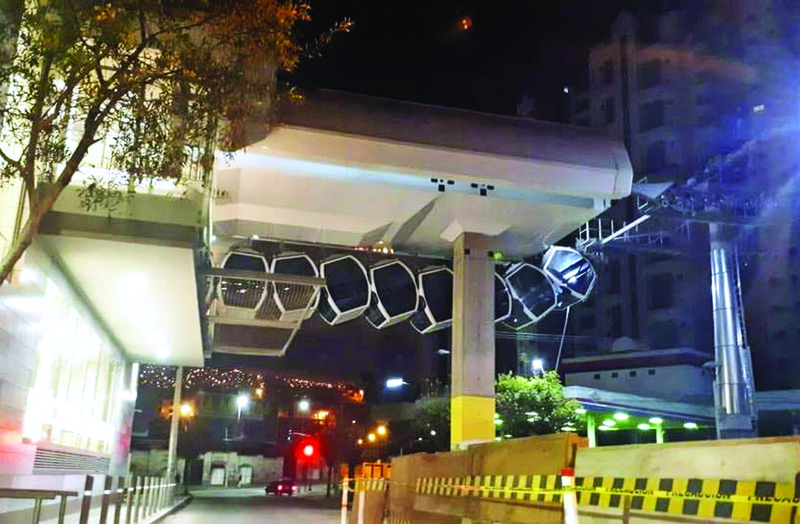 New PomaLink newsletter features the Grand Canyon Express and a six-station gondola at a zoo in China. Poma’s 2016 Reference Book includes LPOA installations but not Skytrac ones. Mountain Creek files for bankruptcy protection with debts totaling $40+ million including $500,000 balance on 2012 Partek chairlift loan. One of Heavenly’s original 1962 tram cars is for sale. Email me if you’re interested. Artur Doppelmayr died Friday at age 95. May he rest in peace.